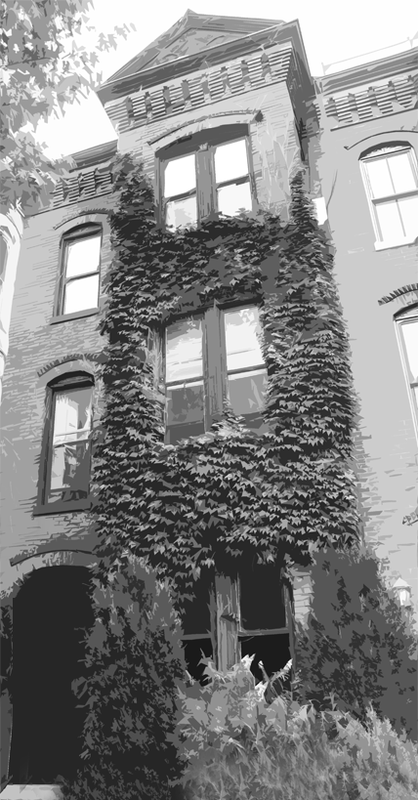 profile article from "The Hill"
"Patrick Murphy Opens Doors for Democrats"
If you are a Democratic member of Congress, there is a good chance you’ve seen the inside of Patrick Murphy’s Victorian red brick row house east of Capitol Hill. Sen. Jon Tester, who hails from Murphy’s home state of Montana, held his inauguration party there. Sen. Max Baucus, also from Big Sky country, dropped by last month to lend his support for an event to raise scholarship money for Indian children. Murphy held the party in honor of his late father, Emmett, a former Amateur Athletic Union boxing champion who coached Indian kids how to box. His events are often the first that are held by a fledgling candidate’s campaign. “Patrick was always there,” said Daschle, now a lobbyist at Alston & Bird. Murphy spent the early part of his life in Great Falls, Mont., before moving with his family moved to Portland, Ore., and then to Reno, Nev., during his junior year of high school. Junior year is perhaps the worst time to move, but Murphy made the best of it. His natural gregariousness won “just enough” friends, he says. When he ran for student body president, he won by seven votes. His ambition was such that when he graduated high school, he joined the National Guard in part because he felt his political résumé would need a military background. “Dan Quayle ruined that for everybody. Since then, we don’t mention it very much,” Murphy quips, acknowledging that the experience of today’s Guard is very different. One thing the Guard did do was give him a buzz cut, which he credits for landing his first big job in politics. Murphy went to volunteer for Mike O’Callaghan’s campaign for governor when he was back from basic training. He walked into an office with a lone man answering the phone, “O’Callaghan for governor.” While he was still talking, the other phone rang, so Murphy picked it up, repeating the line. “When I got done, he said, ‘Who the hell are you?’ I said, ‘Patrick Murphy. Who are you?’ He said, ‘I’m Mike O’Callaghan.’” O’Callaghan, a former Marine who had lost a leg in the Korean War, won the governor’s race. O’Callaghan’s former high school and boxing student, Harry Reid, won his race to be lieutenant governor. Murphy organized the local campus for O’Callaghan and was appointed to the Youth Advisory Council once the new governor took office. “The guy who had it before me had been a former head of the Department of Education for the state,” he noted. Murphy was only 19. “I was just so excited about doing something,” he says. After graduating from the University of Nevada at Reno, Murphy ran and won a seat to the Nevada statehouse. He served two terms, working on juvenile delinquency and senior-citizen issues. He also helped write the bill that brought 911 service to Nevada. Feeling the time was ripe, he ran for a state Senate seat and planned to follow the course set by Reid. But he met an unexpected challenge from a local heir to a lumber fortune in the primary. After outspending Murphy almost three to one, his opponent lost, but he came back two years later as a Republican and won. He is still serving. “Nobody grows up saying, ‘I want to be a lobbyist,’” Murphy says. But at 25, his career as an elected official was over. “I peaked,” he said. Murphy, who had also been the vice chair- man of the state Democratic Party, landed well. He took a job in Washington working for Moon Landrieu, Sen. Mary Landrieu’s (D-La.) father, who was then the secretary for Housing and Urban Development in the Carter administration. He later served as the director of state government relations at the U.S. Synthetic Fuels Corp. and held the same title for Freddie Mac. He then opened a government-affairs shop for Kutak Rock, a giant Omaha-based law firm, which also served as the firm’s first PAC. Money is even more important now than it was for his door-knock state Senate campaign in the 1970s — which is one reason why Murphy entertains so much. In March alone, he’s hosting receptions for Rep.Tammy Baldwin (D) of Wisconsin and Sen. Claire McCaskill (D) of Missouri. He estimates he holds around 35 events a year. With more than 30,000 lobbyists in town, raising money is one way to open doors. But it isn’t everything.